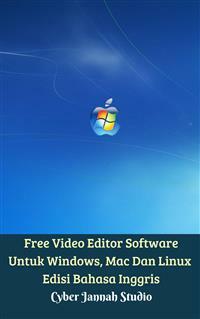 Daftar lengkap koleksi free dan opensource software video editor yang tersedia untuk system operasi Windows, Ubuntu Linux dan Mac. Untuk kalangan pelajar, mahasiswa, youtube creator, animator dan pembuat film indie. The complete list free and opensource video editor software available on Windows, Ubuntu Linux, BSD & Macintosh for college student, youtube creator and indie movie maker. AviDemux is an application whose aim is to help you encode and edit video files easily. A small tool, AviDemux will do its job fast and it is perfect for adjusting home-made videos. Use it for MPEG, AVI, DivX, VCD, SVCD and DVD MPG and you won’t need other complex software. AviDemux's GUI is dedicated to the average user and it has an intuitive, user-friendly interface. In a basic window you will be introduced to various processing tools, decoder options, filters and frame rate configurations. Subsequently, you can edit, cut, append and filter videos and re-encode them to AVI or to MPEG 1/2. This virtual item is similar to VirtualDub, but the difference is that you can encode VCD/SVCD/DVD mpg too. AviDemux supports the most common codecs (M-JPEG, MPEG, DivX, Xvid, huffyuv, WMA and so on) since it is fitted with libavcodec and libmpeg2. The application also offers support for audio formats like MP3, WAV and OGG. The latest versions of AviDemux come with advanced features aimed at the various types of operations you may perform, regarding image export, audio, editor, TS/Demux, MP4/Demux and subtitle capabilities.